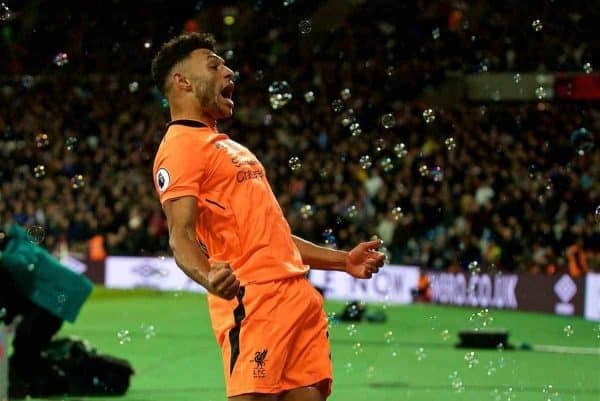 Liverpool produced a dominant display as they bulldozed West Ham away from home, with Jurgen Klopp presiding over a 4-1 victory in east London. The Reds took to Stratford on Saturday evening, looking to extend their victorious run to three games, following encouraging 3-0 wins at home to Huddersfield Town and Maribor. Jurgen Klopp‘s side responded well to arguably their worst performance of the season away to Tottenham, and a trip to the London Stadium provided another relatively simple challenge. Slaven Bilic, under pressure of dismissal, was eager to secure a vital three points to propel the Hammers up the Premier League table, but the Croatian headed into the weekend without a host of key players. Taking on an out-of-form, out-of-shape West Ham side, at a stadium that has seen them struggle since moving in 2016, Liverpool will have been confident ahead of Saturday, and it paid off. Klopp delivered a major surprise ahead of kickoff, naming Sadio Mane in his starting lineup among three changes, with the Senegalese making his first appearance since October 1. It took time for Mane to hit his stride, particularly given Klopp’s change in system to a fluid 4-2-3-1, but when he got involved, he made his presence felt. 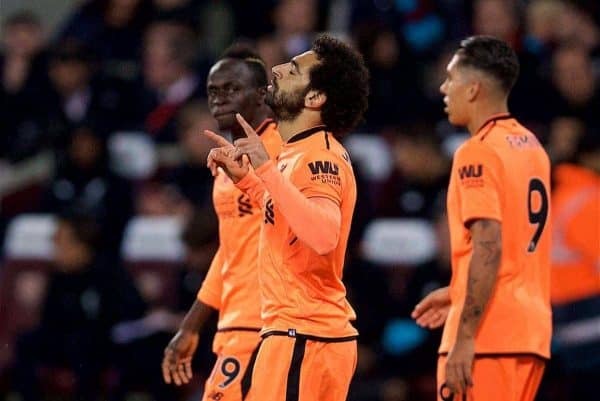 With a West Ham corner cleared on 21 minutes, Mane and Mohamed Salah broke to produce a three-on-one situation, with the former playing in the latter to cap a scintillating counter-attack. And Joel Matip made it 2-0 just three minutes later, with the centre-back benefiting as Joe Hart palmed Mark Noble’s deflection into his path, allowing him to tap home for his first goal of the campaign. 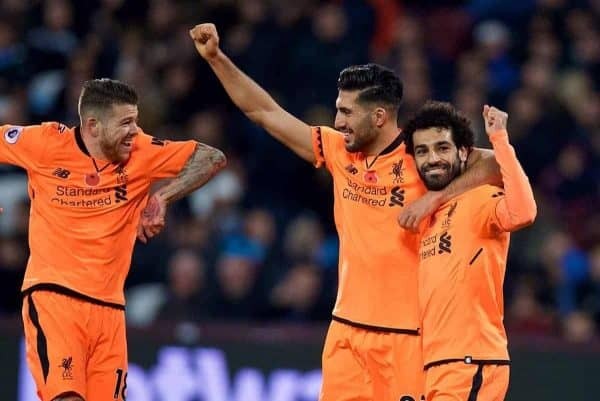 Two goals in quick succession allowed Liverpool to take control of the game, dominating possession and bullying the Hammers off the ball as they saw the half out. With Liverpool comfortable holding a two-goal lead, they presided over a quiet first 10 minutes after the break, but then the clash sprung into life once again. Firstly, West Ham forward Manuel Lanzini held off a poor defensive effort from Joe Gomez to turn and finish past Simon Mignolet, then the Reds went up the other end as Alex Oxlade-Chamberlain netted just 57 seconds later. Lanzini had a golden opportunity to half the deficit shortly after, but the Argentine skewed his shot wide to provide the sloppy Gomez with a reprieve. This saw West Ham fade once again, and with 15 minutes left to play, Salah drifted away from the home defence to pick up Mane’s clipped pass, touching the ball down and slamming it past Hart to make it 4-1. Klopp sent on Dejan Lovren and Dominic Solanke late on, with Liverpool having long sealed the three points at the London Stadium.